I’m cheating a bit because this picture is actually from Friday. I just couldn’t pass up posting it. Friday was the last day of the semester do the kids got to leave at noon. All of the teachers and staff at my school were taken out for lunch. Every person you can see in this picture works at my school. My vice principal is actually sitting behind me in the white dress. We had Korean BBQ. 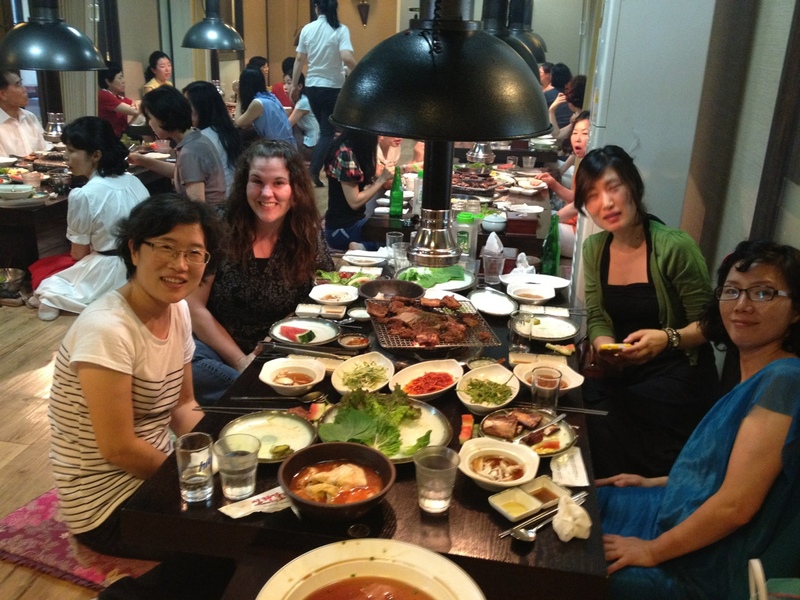 Korean meals come with lots of side dishes so our table was covered with food. At most BBQ restaurants they bring the meat out raw and you cook it at your table. Some restaurants have gas grills and others use hot coals. This restaurant used coals. It was really good!